When is a bad idea a good idea? Consider "loss leaders," where stores sell products below cost to lure consumers in to buy the sale item and then get them to purchase other stuff on which there is a higher profit margin. How about free cell phones when you sign a service contract? So how can losing $200-$400 on every unit make sense for Sony? It all depends on the popularity of the PS3. Product development is risky and sometimes produces costly failures. These numbers do not represent long-run average costs, and the $700 probably includes some development costs. The Cnet article notes that unit costs drop rapidly after product introduction. Since product configuration does not change after introduction, as output ramps up, Sony can expect rapidly falling component costs. Sony should be able to negotiate volume discounts for the parts and, as with most electronics products, the cost of these parts should fall over time. So, there are large startup costs but marginal cost falls as production increases. This is a common phenomenon. Cnet's sources indicate that component costs should fall to $320 after three years, which would provide a handsome margin on each PS3--nearly $200 per unit--assuming flat pricing on the PS3. But how else could they make money? Game console producers make a lot of money from the games for these systems--either through their own production or through licensing. So if Sony can break even on the PS3 console, it can still make a killing from game sales if the PS3 wins the battle of the new game systems. These can be considered tie-in sales. Sony has bundled a Blu-ray DVD player into the PS3. Blu-ray is one of two competing formats for high-definition DVDs (the other is HD DVD). Sony is betting a lot of money that Blu-ray will be the dominant format for the next generation of high-definition disks. 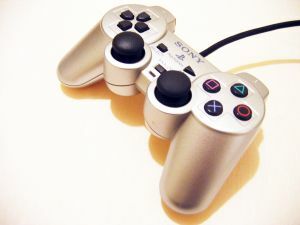 A successful PS3 would tie lots of consumers to the Blu-ray DVD format, and improve the chances of the success of this standard, which would spill over to sales of other equipment. One could call this a type of network externality. So, selling for an initial loss may not be a losing proposition after all. 1. Could Sony be successful--win the game system battle with Microsoft--and lose the war? How? 2. When discussing loss leaders, the presumption is a product sold below cost. Which costs are we talking about: average cost, marginal cost, or some other cost? 3. Presumably our discussion implies that Sony expects to work its way down its long-run average cost (LRAC) curve. What factors affect its ability to do this? Why would Sony's production costs fall as the scale of its PS3 production increases in the long run? 4. The information indicates that production costs would fall by at least 50% over a three-year period. Is this a short enough time period for Sony to benefit from these reductions? What would the expected product life be for a game system like the PS3? What happens to the price of these systems over the product life cycle? Harold Elder is a Professor of Economics at the University of Alabama. His research and teaching focuses on applied microeconomics, including law and economics, public sector economics, and a range of public policy topics. He regularly teaches Principles of Microeconomics in the College of Commerce and Business Administration and is the advisor for his university's Masters and Ph.D. programs.